An all day trip where you will sail past the busy beaches of the coast until you reach one of the nicest and cleanest of the Golden Coast bays. During the tour we will pass by the coastal villages of MONT-ROIG del CAMP, MIAMI playa, HOSPITALET del INFANTE. Upon disembarking the ship, you will have free time for sunbathing, walking, or swimming in the crystal clear waters of CALA CALAFAT until the lunch where you will enjoy a fabulous BBQ made by the captain and sailors. This excursion will sail from the ports of Salou at 9.10am and Cambrils at 9.50am. 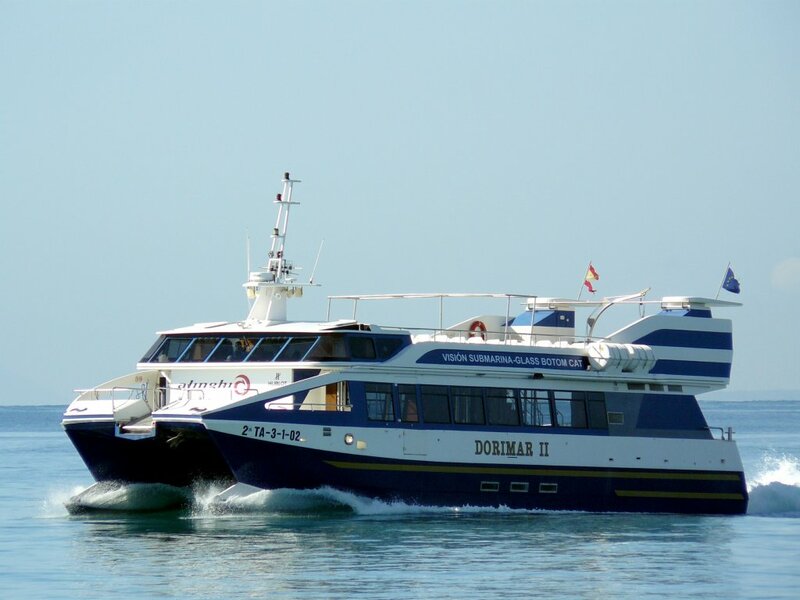 Once we have embarked passengers in the ports of Cambrils and Salou, we set sail towards the port of CalaCalafont, taking approximatley 1 h 15 m to reach the destination at 11.15am, where you will have free time to go to the beach. At 2pm you will return to the boat where you will be served barbecue. Finally at 4pm, we will set sail towards Cambrils and Salou.